25 experts. will be speaking. Starts at 9:00 AM. If you're looking for the best place to learn about Clojure, Functional Programming and network with like-minded people, then the Clojure eXchange 2017 is the conference you simply can't miss! Meet with the world's leading experts, learn how to use Clojure in your team and discuss war stories with your peers. Join Clojure eXchange 2017, the go-to conference to discover and learn all the latest developments in the Clojure world. Thank you for making Clojure eXchange 2016 such an amazing conference! We hope you've enjoyed it as much as we did! Find below some more information, and stay in the loop! Last year's highlights included keynotes from Kris Jenkins, Luke VanderHart, Jon Pither, and some of the topics explored were Kafka, Angular, Machine Learning, Arachne, CIDER, Cljs, and more! Check out Clojure eXchange 2016's Highlights and Conversations with speakers here! 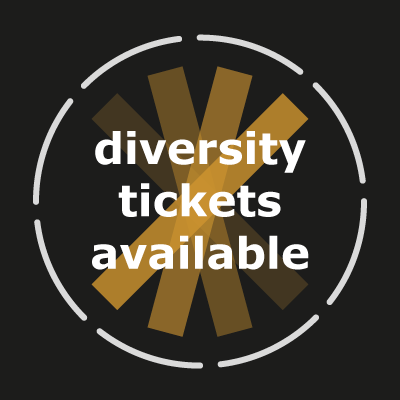 Registration is open and we have some great Early Bird offers available so if you are planning to join us for two days packed with agile fun, get your skates on and book your ticket today! 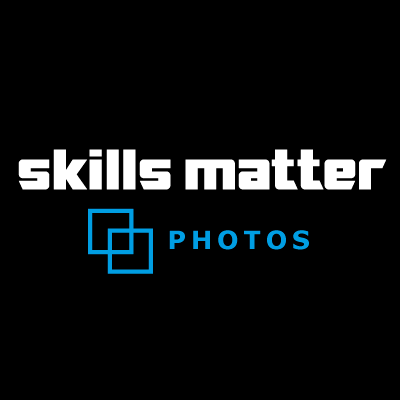 Skills Matter is proud and happy to share our Clojure eXchange Diversity Scholarship Plan. This plan is based on our commitment to help develop the skills of women and their participation in our community. It is aimed at helping women who want to enter/ re-enter the tech industry. Want to stay in the loop with the latest developments within the Clojure community? 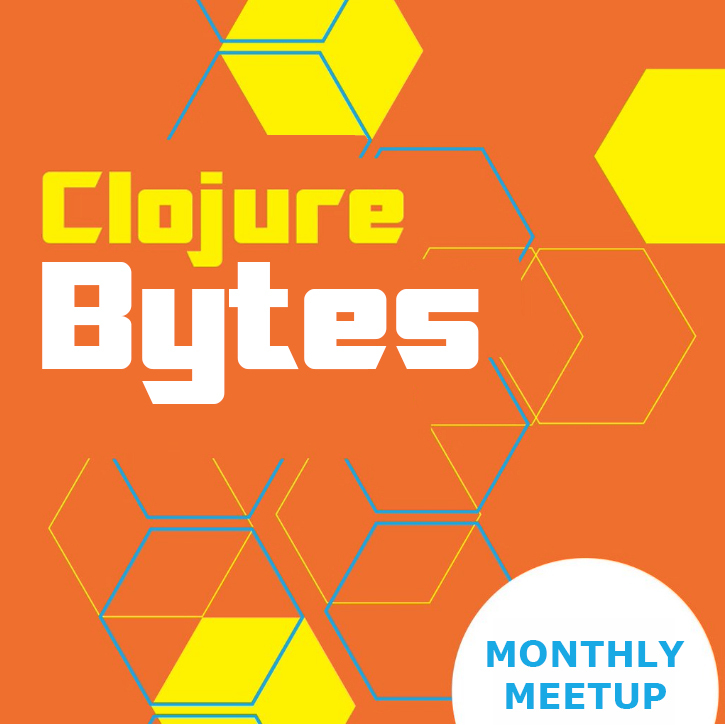 Join us at the brand new ClojureX Bytes series we'll be hosting at CodeNode leading up to Clojure eXchange 2017! Please bear with us as we move some slots around, schedule is still subject to change. Incanter is no longer actively maintained, and there is a real lack of good tooling to do data science in Clojure. Most of the action in Data Science happens in R and python, with the occasional big player in java. I’ll be talking about our work to bring the Clojure data science ecosystem back to life through open source libraries. The topic of static types in the Clojure community is often contentious, but why is that? Is it simply a matter of taste? Poor experience with other statically typed languages? Or is there a deeper, underlying reason? If Clojure is such a powerful functional programming language, can you not have the choice? And, what is a type system anyway? During this talk, you will explore the Simply Typed Lambda Calculus, and it's application in a "Hindley-Milner" based type system with "full-program" type inference. How it can be mapped onto Clojure's syntax, and how it can be used to type-check a subset of Clojure code. You will learn how expressive static type systems compare to clojure.spec, and how they can be used as a tool to complement Clojure's REPL driven workflow, not just to hinder the programmer. Finally, you will discover strategies for mixing typed and untyped code. Andrew is a software developer at GoMore, working mostly in Clojure. He's interested in experimenting with, and implementing functional programming languages. Alan learned Clojure mostly by writing code to make microscopic optical devices by direct laser writing (DLW). DLW uses a highly focused laser to produce controlled chemical reactions in a custom polymer. Those reactions make the polymer change state from solid to liquid or vice versa in regions of microscopic size. During this talk, you will discover the structures made, the code written to make them, and some of the lessons learned along the way. Alan Forrester's main claim to fame is completing all the problems on 4clojure. His less impressive achievements include a PhD. in physics and working on a geographical information system. In this lightning talk, Mashooq will discuss how Clojure Spec is a great addition to your TDD workflow. He will discuss how it helps narrow the scope for testing and simplifies the production code. Mashooq will also demonstrate it’s use through the Mars Rover Kata. 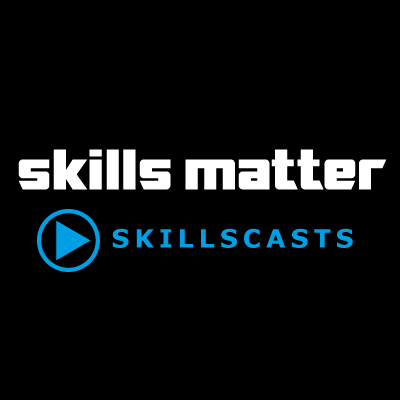 Mash is a pragmatic software craftsman always looking to improve his software creation skills and helping others do the same. He firmly believes that a well-rounded software craftsman must have a keen interest in all aspects of software creation, including; process, people, technology, user experience, development, operation, maintenance, and social impact. He relishes the daily challenges that Codurance brings to him–stretching his existing knowledge and expertise allowing him to constantly grow as a professional. Head over to Renzo's blog, check out what he is up to on GitHub and follow him on Twitter @reborg. In this talk, you will discover the most fun parts of Klipse in an interactive way. Get ready for many Live-Coding demos. We will explore the internals of Klipse, explain the magic of self-host clojurescript and show how simple it is to contribute to Klipse. Get ready to become a master of code interactivity! Check out Klipse on github. #ClojureX 2018 Party with Pizza and Beer! End of Day 1 - See you tomorrow! António is a functional programmer and a regular contributor to ClojureScript and Om. He works as a Software Engineer at Ladder, a company that is reshaping the life insurance market. (Duct)[https://github.com/duct-framework/duct] is a full framework for building server-side applications in Clojure. In this talk, you will explore the process of writing a database-driven RESTful web service using Duct, and discover how this improves upon the current norm for Clojure development. Dates and time are still a common cause of bugs in our programs. During this talk, you will discover better abstractions for dealing with time, and will be able to explain some features of JUXT's tick library. You will also explore an introduction to Allen's Interval Algebra and learn how the concept of interval sets can be used to bring a functional programming style to calculations involving time and dates. Getting stuck in battle with command line Sed, AWK, Perl and friends? Trying to provision your cloud environment using good old JSON, and just wish you had some.... you know, data manipulation ability on hand? Do you secretly love Make and just wish you could run adhoc ClojureScript tasks without having to dwell on packages and namespaces, depedencies and requires? During this talk, you will discover how DevOps and Cloud Provisioning, using Mach - a ClojureScript replacement of Make built on Lumo - and Roll, a ClojureScript wrapped Terraform setup for building you a Blue/Green custom PaaS. You will also discover an approach to config - one config to rule them all! Jon Pither has led development of large Clojure projects at an Investment Bank, an online newspaper website, a major property portal, and is now working on various other Clojure projects. Jon is a co-founder of JUXT, a consultancy specialising in using Clojure. End of #ClojureX 2017 - See you in 2018! 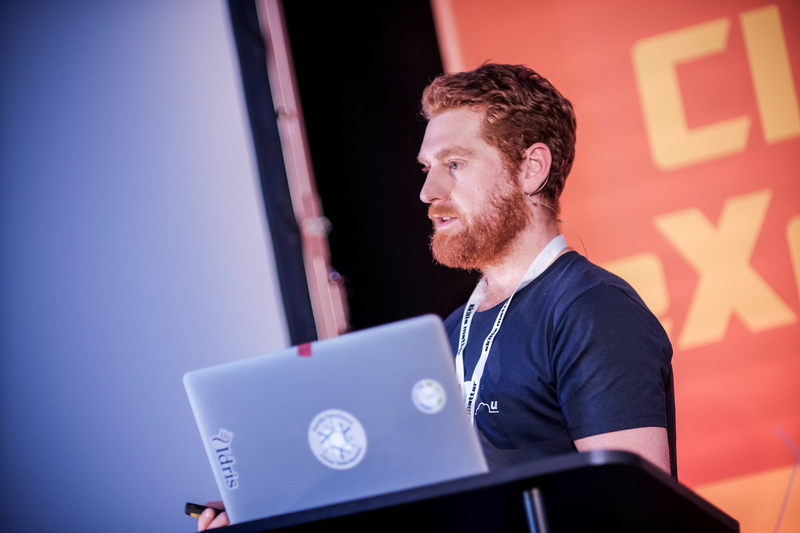 ClojureX speaker and star, Andrew McVeigh, shares what type systems mean for Clojure! A lot of shots have been fired across the bows of both static and dynamic typed ships in recent weeks. Instead of fighting, can't we just take some time to understand? Different tools and different approaches, suit different people and different problems, differently. Arguing that your opinion is correct should be left for the things that really matter, like whether cats or dogs are better. In my talk I'll be discussing not the virtue of type systems, but the technology for what it is. How they work. How people who write programs in Clojure can take advantage of them. And maybe, how Clojure can push type systems in a direction that suits the way its users think. There might even be a demo of using an optional, first-class, queryable Hindley-Milner type system in Clojure. Interested in joining Andrew and other experts at this year's conference? Check out the Programme Page for more info! Mahsa Mohammadkhani (speaking with Russell Dunphy this December) gives some thoughts on this years Clojure eXchange and sharing with the community! I am excited to be joining this year's Clojure eXchange where I will be sharing my thoughts on how we planned to refactor from an old, complicated (non-Clojure) system to a better, and easier system in Clojure, without compromising our ability to deliver new features. The best thing about being part of the Clojure community is sharing experiences. At Clojure eXchange, I most look forward to learning about Clojure best practices, new and novel approaches for solving problems. Want to see what else is happening at Clojure eXchange '17? Head to the Programme Page for more info! 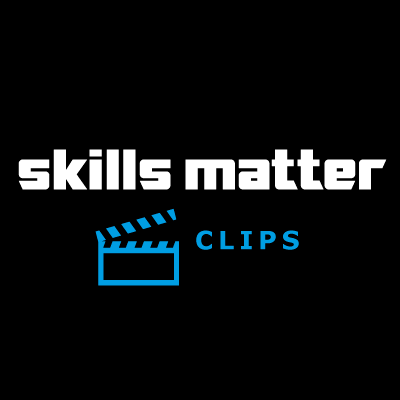 To carry out this endeavour, Skills Matter will be sponsoring 50 complimentary tickets to our upcoming Clojure eXchange conference for all those who feel like they would learn from this event but would not be able to join in otherwise. Volunteer at Clojure eXchange 2017! Interested in Clojure, and eager to learn the latest news? 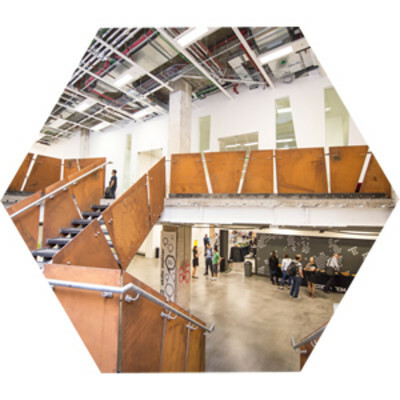 You have the chance to get a free ticket to Clojure eXchange London 2017! All we need from you is some help in setting up the conference, and some hours of your time on the days of the conference! You will be free to attend the conference for the remainder of the time. Are you ready then? 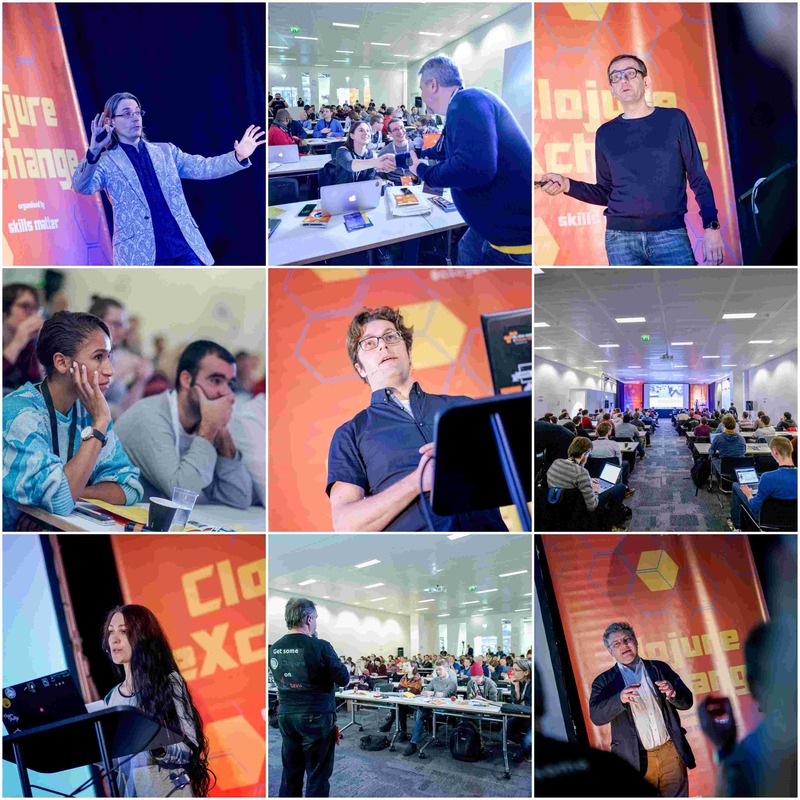 Email us at conferences@skillsmatter.com and we will put your name down as a volunteer for Clojure eXchange London 2017! Shifts and detailed info will be confirmed closer to the conference. Want to learn how to rapidly get up-to-speed with Clojure for solving real-world problems? Join this course with Malcom Sparks to learn the fundamentals of Clojure, through exercises based on some of the real-world problems that Clojure excels at tackling. It will be a hands-on and action-packed 2 days! 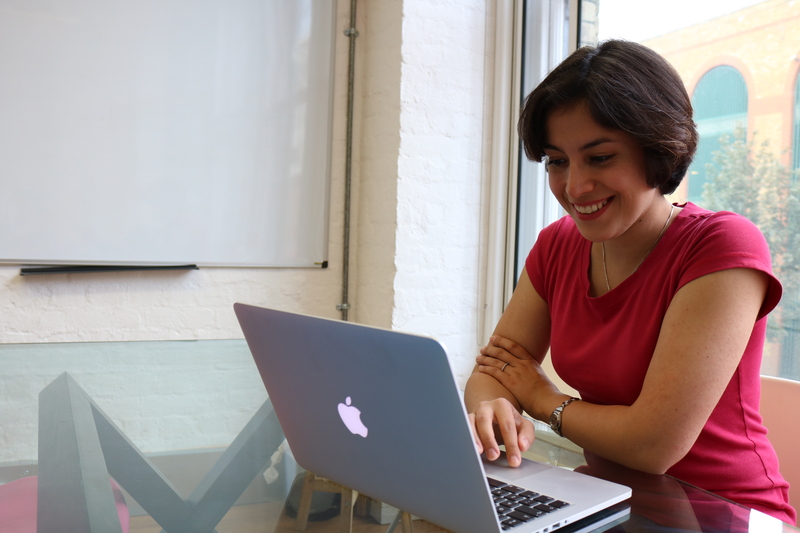 Are you an experienced Clojure developer ready to take their skills to the next level? Join this course with Malcom Sparks after Clojure eXchange 2017 to boost your Clojure skills! Thrilled to have Bozhidar Batsov with us for a Community Update on CIDER at ClojureX 2017!